Increasingly popular window blinds made with blackout fabric blocking the sunlight and providing complete privacy for your room. 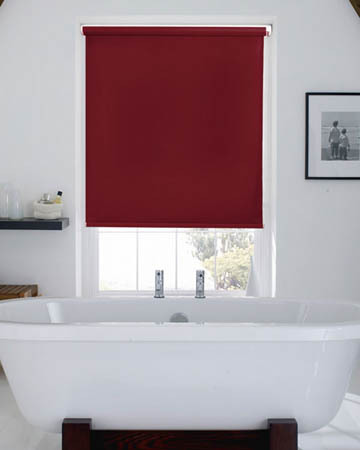 Buy online cheap made to measure blackout roller blinds without compromising on quality. Here fabrics are cut to perfection and added on quality systems. 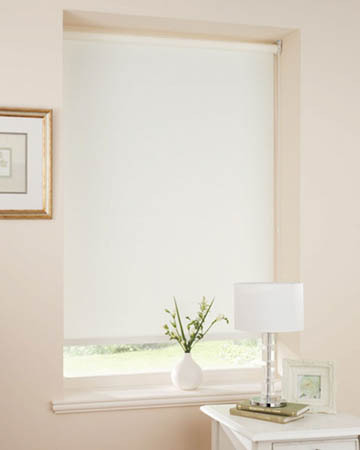 The blackout blinds we offer in this section are roller style window coverings made used special tight and opaque fabrics which are treated for optimal light fastness so as to block out natural light. 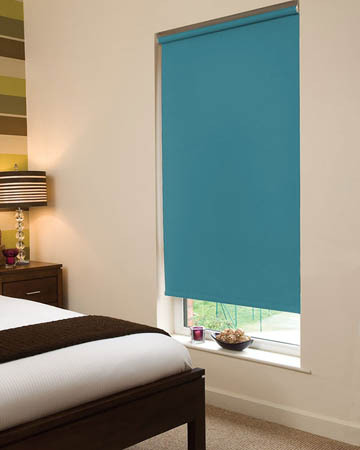 Sturdy aluminium roller tubes, smooth operating sidewinder chain controls or spring loaded operation together with optional top cassette and other decorative enhancing options make these black out roller blinds suitable for both home as well as office use since they can be used in virtually any room where specific control over light is required. Optimal energy efficiency scored by the fabrics make the made to measure blackout blinds recommend them as functional home improvement items since they are able not only to block light but also to decrease heat gain in the summer or heat loss during winter. These bespoke soft furnishings, which are recommended for home areas such as bedrooms, offices and bathrooms where specific control over light is required, can be enhanced online with the addition of scalloped edges, cafe rods and decorative braids, be fitted with either chain or cord manual controls and designed for fitting inside or outside the window recess, since they are tailor made to provided specifications. Manufactured in the UK, the line of window blackout blinds we sell can be certainly seen as an asset since they provide the optimal balance between price and efficiency, design and functionality. 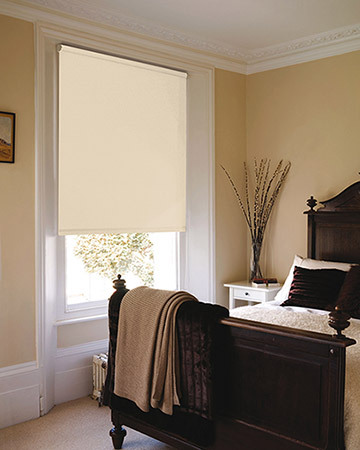 Special areas with extra large or bay windows are not an issue since our roller blackout blinds are made to order. In terms of price, best buy blackout roller blinds can be bought online since we feature significant discounts on selected RRPs offering a generous selection of cheap blackout window blinds in plain, striped or patterned designs.